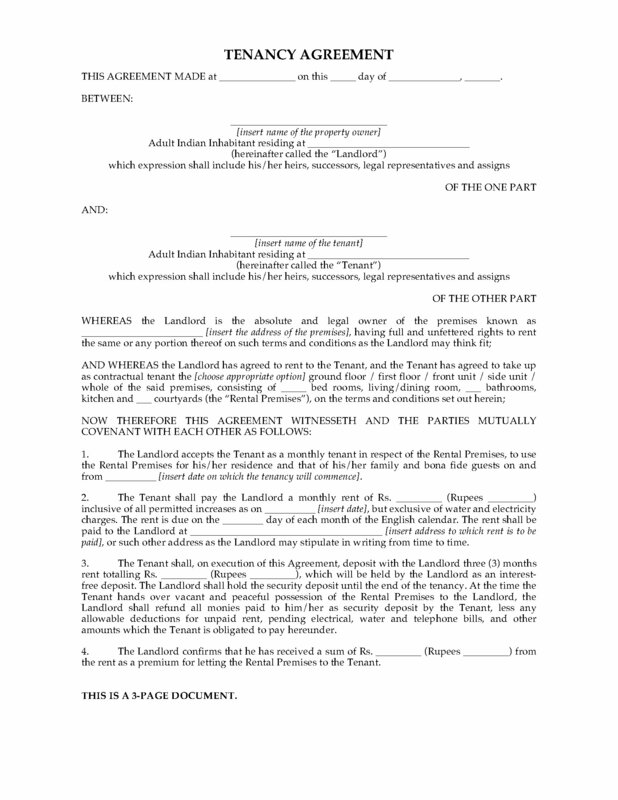 Indian landlords, rent a house or flat to a tenant on a month-to-month rental with this India Monthly Tenancy Agreement. Deposit. The tenant will pay a security deposit equal to 3 months rent. Utilities. The tenant must pay for electricity, water and telephone usage. Repairs.The tenant is responsible for minor day-to-day repairs. The landlord is responsible for major repairs. Taxes. The landlord is responsible for paying all taxes and other assessments against the property. Alterations.The tenant must not make any alterations to the premises without the landlord's consent, however, the tenant may attach fixtures and install cooling or air conditioning equipment with the landlord's consent. Grounds.The tenant is responsible for maintaining the lawn and garden. End of Tenancy. If the tenant does not vacate the premises at the end of the tenancy, the tenant must pay a daily charge until the premises are vacated. 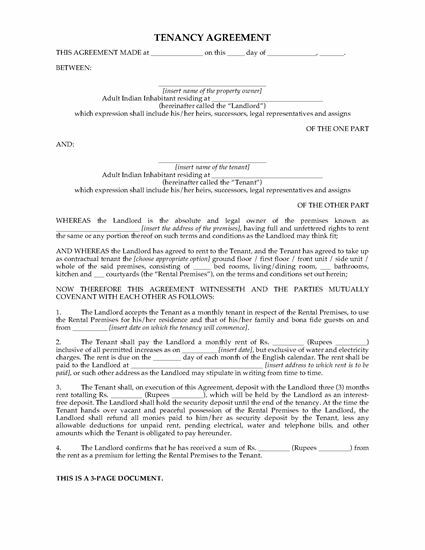 This India Monthly Tenancy Agreement is generic (not specific to any region or city) and can be easily customised to meet your needs.